Mirwaners! You must feel incomplete when visiting a country without knowing the history of the country, right? Like in Singapore, if you want to know the ins and outs of Thomas Stamford Raflles’ "baby", then the best choice is to visit the National Museum of Singapore. Well, I just got back from Singapore visiting National Museum of Singapore. Just for your information, National Museum of Singapore is the oldest museum showing off Singapore's history in Singapore. And you know, the name of this museum was given in 1965. It was so long long time ago, right? For a short period between 1993 and March 2006, it was known as the Singapore History Museum, before returning to its previous name. The building is so huge. When I came in the museum, I found lot of old stuff in there such as a collection of all artifacts related to Singaporean civilization. Interestingly, this collection is divided into several groups of years of civilization. So, if you have time to visit only one place to learn about the history and culture of Singapore, this is probably it. The National Museum of Singapore tells you the intriguing story of this country in a manner that is both fun and rewarding. The short history that I know is that starting from the Malay era when the country was not yet named Singapore, the arrival of Chinese immigrants, the Middle East and India, the arrival of Thomas Stamford Raffles who built modern Singapore, the Japanese colonial era, post-colonialism, the era of 70-80s, and the present. All collections are nicely arranged in a 18,400 square meter building. Plus collections supported by audio visual facilities, make visitors feel at home for a long time in this museum. Can you imagine, standing in the midst of a vast darkened space surrounded by a massive video montage showing everyday life in Singapore while a rousing symphony plays in the background. That’s just a taste of the immersive experience you can expect here. So, due to the complete and extensive collection of the Singapore National Museum, making a one and a half hour visit is not enough. There is so much that can be explored in this Museum. Even if you think about it, Singapore has only been independent for 54 years, a young age for a country. But the tidiness of archives from a long time before Singapore's independence made this collection at the Singapore National Museum complete. Watch my vlog below to see the inside of this museum. A good thing to know, National Museum of Singapore is also friendly to children and people with disabilities. There are several children's playgrounds that are also provided with wheelchair lanes for persons with disabilities. 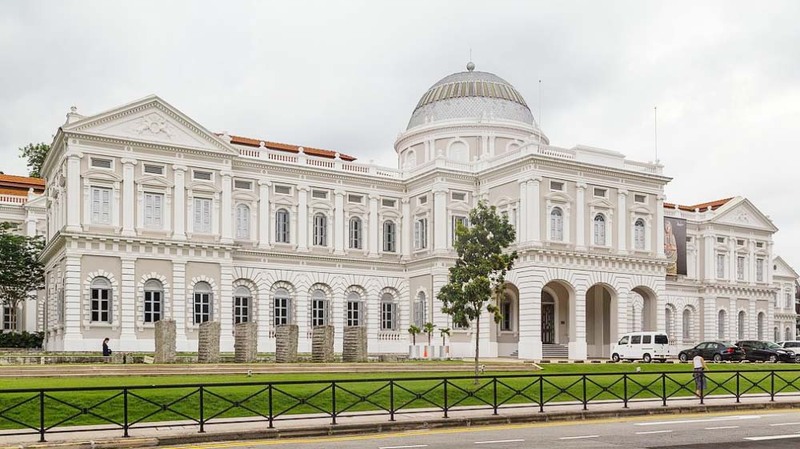 National Museum of Singapore is located at 93 Stamford Road S. So if you want to visit this museum, you can use the MRT public transportation and stop at City Hall station and continue for a 10-minute walk, or you can also stop at Bras Basah MRT station, and Dhoby Ghaut proceed with a five-minute walk. To enter the National Museum of Singapore, visitors are offered a ticket of 10 Singapore dollars, equivalent to Rp. 100,000 for adults and it's free for children. While for students and adults over 60 years, just pay SGD 5 or Rp. 50,000. The operational time of National Museum of Singapore is open every day from 10:00 to 19:00 with ticket sales last at 18.30. I suggest that try to come in the afternoon, because the Museum's many glass-coated buildings are so interesting to capture and is surely Instagramable. Also don't visit too close to closing time, because the museum is so extensive to explore. 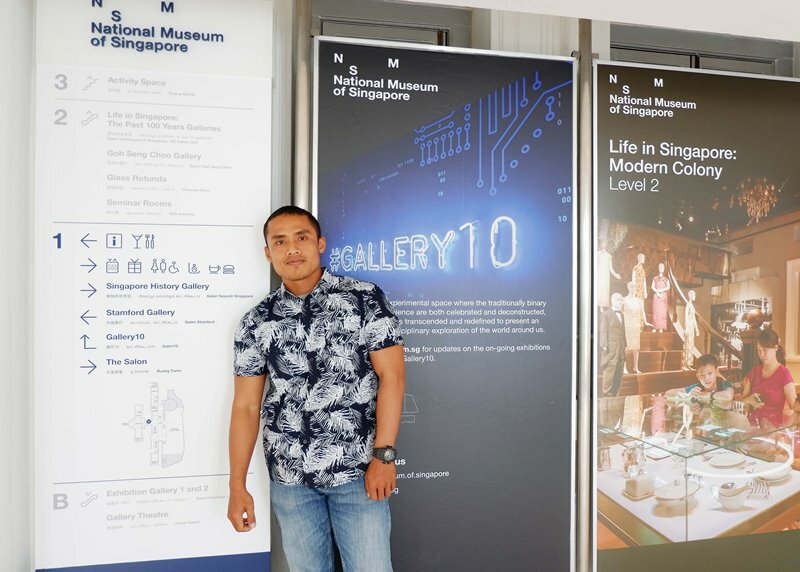 So, the conclusion is, if you want to know about history and culture of Singapore, just visit National Museum of Singapore and ask me to come along :D. Watch my vlog below to see the inside of this museum ya. Nice post. I wish I could visit there. But when? Hehehe.. The price to visit Museum so worth it.